Chokugakumon at Zojoji Temple, Shiba, Tokyo. 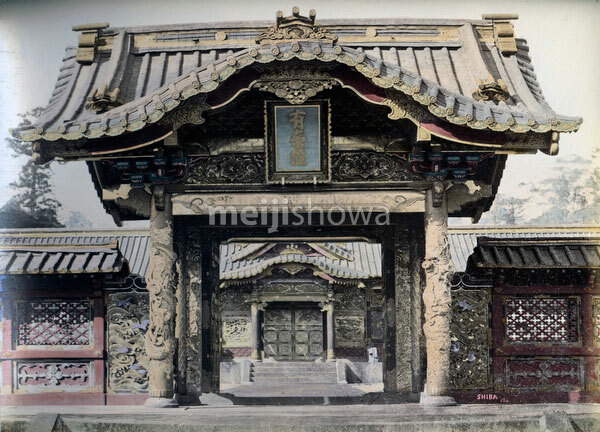 The gate features a plaque with the word “Yushoin” written by Emperor Nakamikado. Six of the 15 Tokugawa shoguns are buried at Zojoji. Much of the temple compound was destroyed during the US air raid on Tokyo of March 10, 1945. Late 19th century.